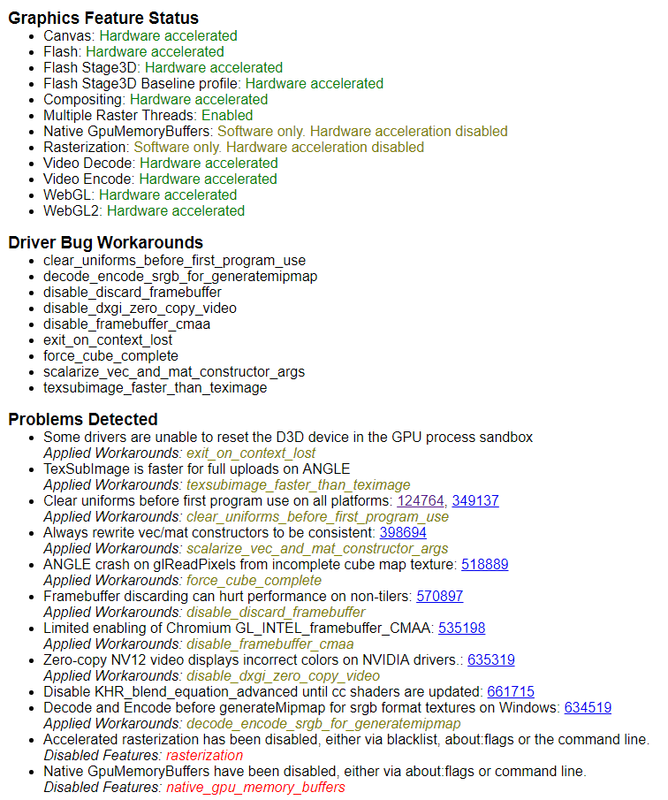 Check the log at opera://gpu/, it may show something for you. And in the log, at the bottom of the page? Hey Aii, I don't have that on fullscreen videos or videos in general, but I do have it on Twitch. Whenever I watch a stream, everything is fine UNTIL I change tabs. I just re-installed Opera and even my AMD Drivers (using CCleaner and all as well). I don't remember if this is from before, but I started noticing it a lot since last Opera update (and this version is obviously the latest, I just reinstalled it). It's really annoying and I have no idea why it happens. Is not because BTTV and is not because of the blocker (I onyl use windows defender for security so no extra anti-virus either). Is not as big as yours perhaps but it is there and I can clearly see it. Hopefully Leo understand what we talk about with the video and can help us. Don't wanna stop using Opera! I think that might be the solution Things work fine now at least.